Version 1.2- Fixed defect allowing 101% items, fixed map, removed timer. Minor changes to item progression. My first hack. It's small. My goal was to learn the basics of SMILE, and to practice things like project planning and management, and map/room design. And by all means, please make recommendations on how I can improve in future iterations. Notably absent: Elevators, Charge Beam, Gold Torizo, Wrecked Ship along with Phantoon, and Tourain/MB. Bomb Torizo is the "final boss". If you collect everything, you'll get 100%. Difficulty: 2 out of 5. Don't forget to save the animals! This was a surprisingly enjoyable little experience. It's small, and can be extremely short depending on what you do, but the premise is actually really rad. 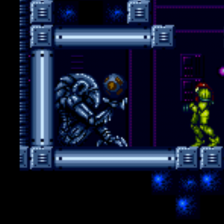 Overall has a pretty high level of polish as well, especially for a hack the might seem like a "throw away" release. It's worth checking out. 1. I actually like that there's no Phantoon or Golden Torizo, but I do miss Botwoon. 2. I hate Spore Spawn in this hack, as the spikes in the field deal 60 damage so early in the game, which makes it quite difficult to defeat and very annoying, especially because after you beat Bomb Torizo, you trigger "escape sequence", which makes it impossible to save the game on your ship: you have to run to the other side of the map to save. 3. 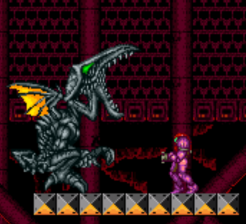 Crocomire and Draygon are a PAIN: They're too strong to kill with the amount of missiles an supers you get along the way, especially without Charge Beam, an essential item that isn't in this hack. 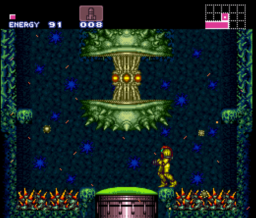 Other thing is defeating Draygon without Speed Booster nor Grapple Beam. Look, if you're gonna let us so short on ammo, you HAVE to nerf the bosses a bit, or at least change the number of ammo you get from each tank, as you did later with power bombs. 1. There's a hidden passageway behind Crocomire. 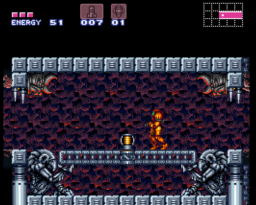 If you drop him on the lava, go through there and go back, you will make Crocomire spawn again and you will be spawned in front of him in a very strange screen-scrolling thing, but this time, you're screwed, as you are left with no ammo. Trust me, Crocomire does NOT cooperate for you to refill all your ammo. Just die and start over instead. Note: to solve it, you can put a grey door that only opens after Crocomire is oficially dead instead of an open path. 2. There is a tilling error in front of Wave beam, which can make you softlock inside the floor in the ceiling in a neverending falling stante by unmorphing at a certain spot. 3. 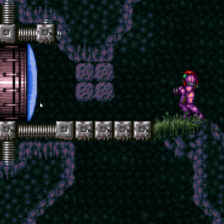 Below the place where the elevator to norfair should be, there are two itens: a super missile and an energy tank. The super missile does not spawn if you haven't deafeted Bomb Torizo, which can be solved by backtracking and killing him. The energy tank is simply UNLIMITED! Seriously! You can just pick up the tank, leave the room, and when you enter it again it will be there! Again! Just for fun, I've beaten the game with all 14 energy tanks, and that's why I've put 212% above. Overall, its a very entertaining hack, but all these flaws really do show off. 2 out of 5. 1 more Item technically can be collected without major glitches. My favorite part was draygon. Probably want to double my play time counting deaths. Also one death to the spore spawn spikes. Second power bomb isn't found so easily. I think it was ice beam & hijump boots that you can collect multiple times. Something something high byte plm index whatever. Good for a few playthroughs.